Yes, We Have Great News! We are very pleased to announce that Kenneth D. Mitskavich has accepted the position of principal of Corpus Christi Academy. 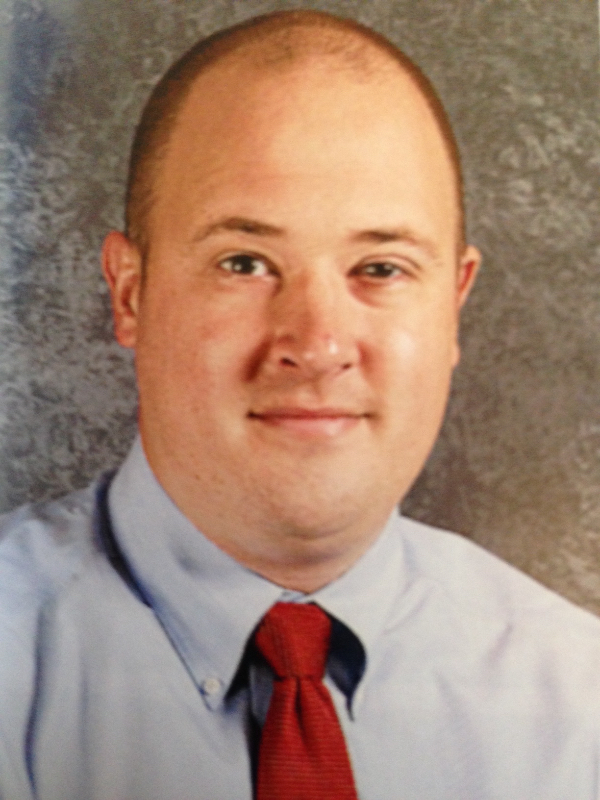 Ken currently serves as Assistant to the Principal and Middle School Social Studies teacher at Saint Angela Merici School in Fairview Park. He comes to us with more than ten years of progressive experience in education, including more than five years of administrative experience at Holy Trinity School in Avon as well as his current role with Saint Angela Merici School. With the assistance of the Diocesan Education Office, Ken has already begun planning for our Teacher Search. He has proven his ability to build leadership teams with teachers and to facilitate one-to-one-learning with Google Classroom and web-based programs for students. Ken is excited to build our new Academy in the Catholic tradition by empowering the faculty and collaborating with our Board and Committees. Ken has coached Varsity Hockey at Saint Ignatius and Avon Lake High Schools. He and his wife Erin have two daughters: Abby (4 yrs) and Allie (2 yrs). Stay tuned for news about a "Meet and Greet" for parents and students to meet our new principal. We welcome Mr. Ken Mitskavich. Corpus Christi Academy is well-positioned to make its mark! "It was my hope and prayer that a person committed to faith and family would respond to our invitation -- as well as a person with a passion for forming students, empowering a faculty and engaging parents and our parishes. Ken Mitskavich impressed me as that very person. I eagerly look forward to our working together to build Corpus Christi Academy!" "I am very happy to have Mr. Ken Mitskavich join us. His faith and enthusiasm will bring the best of our two schools together as we step forward with Corpus Christi Academy. I look forward to working with him and I know you will too. I can’t wait for you to meet him."